A teacher friend asked me to develop a logo for her AV class’s production company, Water Buffalo Productions. She wanted something modern and clean, but still a little playful, so I created original vector art in a flat icon style that could be used as a visual tag on their video content. 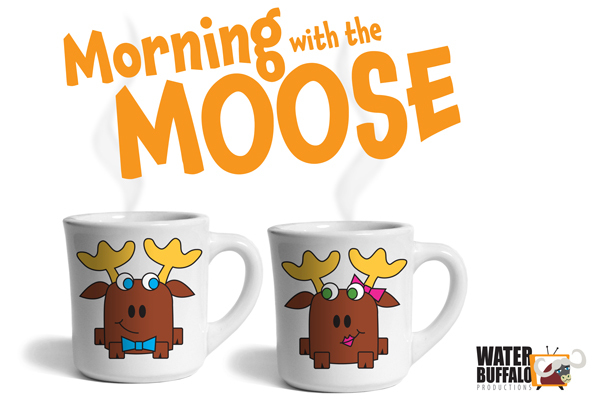 In addition, they needed a “title card” for their morning news program, “Morning with the Moose.” I created a photoshop mock up of two coffee mugs, with original cartoon moose characters to her specifications.